It is traditional in many cultures for a bride to present a gift to the groom on their wedding day. This will be the most special day in your life as a couple; therefore the gift you choose is very important and must reflect this. With this in mind it would be understandable for you to be stuck with what to buy. Men tend to be hard to buy for at the best of times! This gift needs to be special and most memorable, not just a quick grab from Tesco’s on your weekly shop because you have forgotten. It needs to be well thought out, special to the groom and in custom of your special day. The usual cuff links, just- wed towels and crazy groom socks have all been done before. No, you want something more unique. This is his special day as well as yours; why not treat him to a gift that will be memorable, long lasting, surprising and special. Surely this man is worth the most perfect gift on the day he agrees to be yours forever- for better for worse, for richer for poorer, in sickness and in health, till death do you part? With wedding arrangements being costly it also needs to be reasonably priced as well as momentous. Where he could quite possibly dream of owning a Ferrari F430, to actually buy him one would be almost impossible. 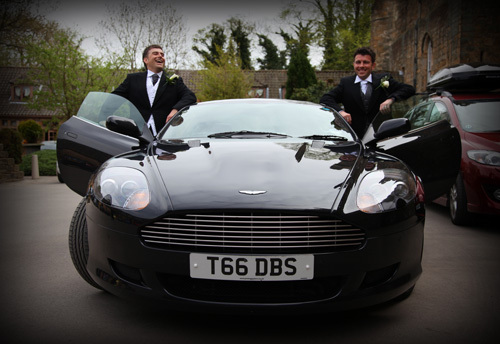 For this reason, we at Special Day Cars offer the next best thing- the perfect gift for your groom- a chauffeur driven supercar for your wedding car hire. Imagine his face; pure excitement and adoration for not only this thrilling car but for his amazingly creative fiancé. Not only does he get taken to the ceremony with the most exhilarating unforgettable experience but he gets to meet the most caring, thoughtful and exciting lady to whom he is due to marry. After he finds out this amazing gift you have for him, even the fastest car in our fleet could not get him to the church quick enough to meet you. 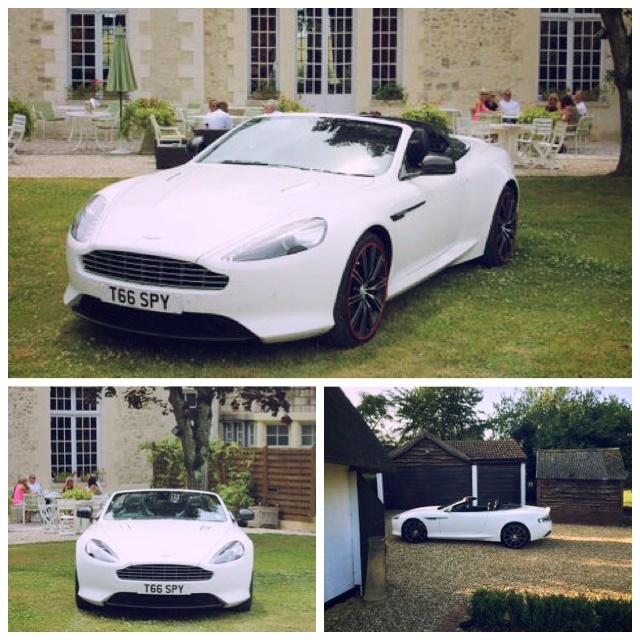 We have a vast amount of popular supercars available for your chauffeur driven wedding car hire; the Aston Martin, Ferrari and Porsche all hold a prestigious status that would impress the groom. Not only would they surprise him and the whole wedding party but they would create the most perfect photo opportunities that could be kept forever. This is the biggest day that you and your fiancé have had the opportunity to share. So it is the perfect time to buy that experience he’s always dreamed of. Whether the groom is your fiancé, your son, grandson, nephew, brother or any other relation, you will want to buy him something special for his big day. Something classier than novelty pants is desired for a wedding gift. Something more memorable than a personalized dressing gown would be preferred. An exhilarating super car for chauffeur driven wedding car hire is far more desired than these. It is what the groom really wants but he cant really put this in his wedding gift list. 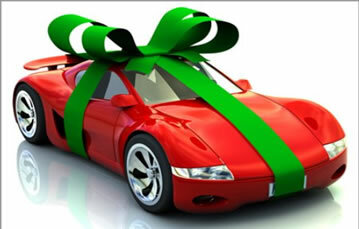 So if you want something much more special then look no further than Special Day Cars. We will provide an amazing wedding hire car and a chauffeur, you just need to provide the lucky groom and the venue. We will decorate the car in perfect wedding tradition and together we will create the most amazing photo opportunities.